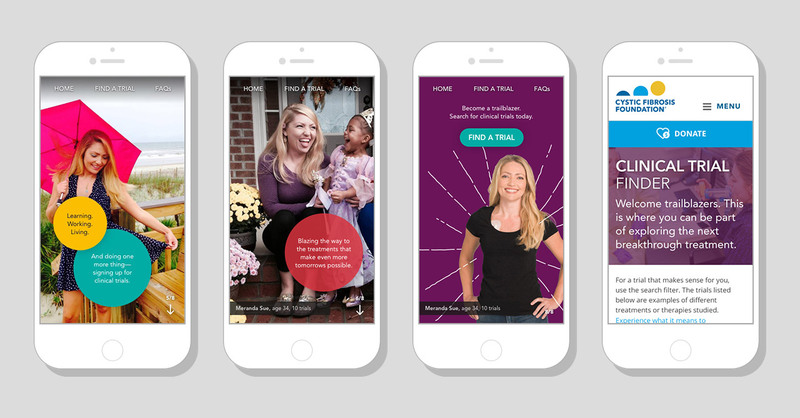 The digital component of the “Trailblazer” campaign came to life through recognizing that most CF patients would encounter the campaign’s print materials during a medical center visit. At these visits, our audience finds themselves with downtime while in the wait room and during breaks between multiple caregiver visits. 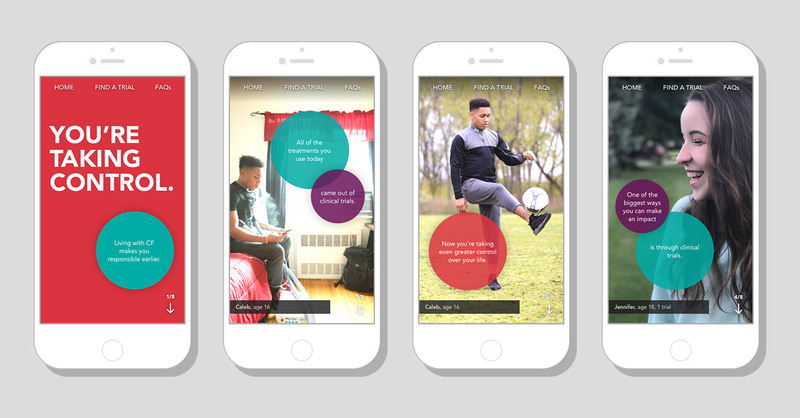 We took this insight as an opportunity to create a digital extension of the print materials which patients can interact with during that down time. 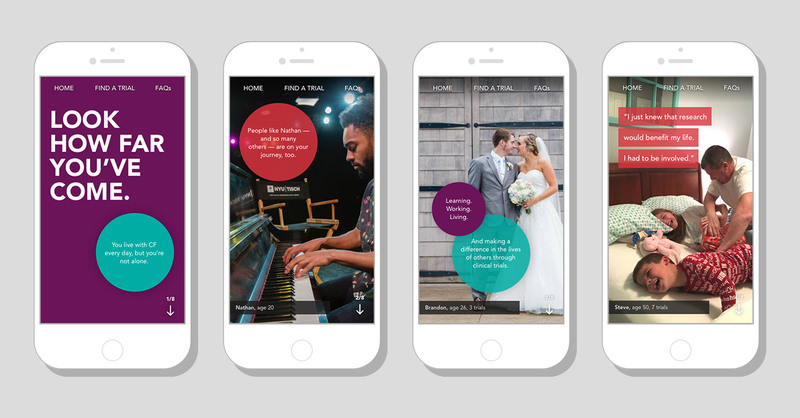 Knowing users would likely access the site on mobile devices, we designed a mobile-first experience that was based on three distinct and personalized user journeys. This journey is specifically tailored for Parents of Children with CF. 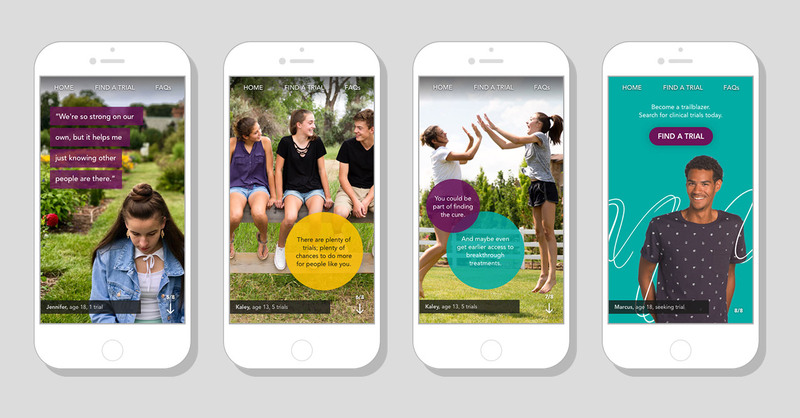 This journey is specifically tailored for Teens with CF. This journey is specifically tailored for Adults with CF. Our key performance indicators focused driving users to a Clinical Trial Finder tool and increasing desired behaviors once there. In just over a month, the campaign shattered these goals. Copyright © 2018 Camille Marlow / All rights reserved.